By including a recording device, the first-gen smart specs went from dorky to disturbing. Since its debut in 2012, Google Glass always faced a strong headwind. Even on celebrities it looked, well, dorky. The device itself, once released in the wild, was seen as half-baked, and developers lost interest. The press, already leery, was quick to dog pile, especially when Glass's users quickly became Glass's own worst enemy. Many early adopters who got their hands on the device (and paid $1,500 for the privilege under the Google Explorer program) were underwhelmed. "I found that it was not very useful for very much, and it tended to disturb people around me that I have this thing,” said James Katz, Boston University’s director of emerging media studies, to MIT Technology Review. News on Thursday that Google is re-organizing its Glass team and shutting down its Google Explorers program brings Glass's troubled debut to a merciful end. But the core idea behind Glass, a hands-free way to look at a screen, could have been appealing, even if wearing it out and about was always going to be initially off-putting. People will put up with a certain amount of social shame for convenience (witness the rise of Bluetooth headsets in the mid-'00s). But Google Glass wasn't just a way to keep a screen in front of your face all the time; it was also a way to record everything going in front of you. And it turns out very few people are willing to be viewed as walking, talking invasions of privacy. Mass adoption of new tech inevitably means figuring out new social norms. Is it rude to check your phone at dinner? How well do you need to know someone to be Facebook friends with them? Must we be kind and rewind? These are at first tricky questions, and ones that took a long time to figure out. Without a camera attached to their heads, Google Glass users may have had time to measure out these boundaries. Perhaps Google Glass could have been used the same way we use sunglasses—usually taken off when we're with people, on when needed. But armed with a camera, Google Glass was quickly banned in restaurants, bars, and even from Google's own shareholder meetings. Pictures taken with the Glass camera were usually deemed "creepy." The Consumer Watchdog's Privacy Project called it "one of the most privacy invasive devices ever." Google Glass's camera created an untenable situation on both sides of the device. Google Glass users had to deal with feeling like a glasshole in public. 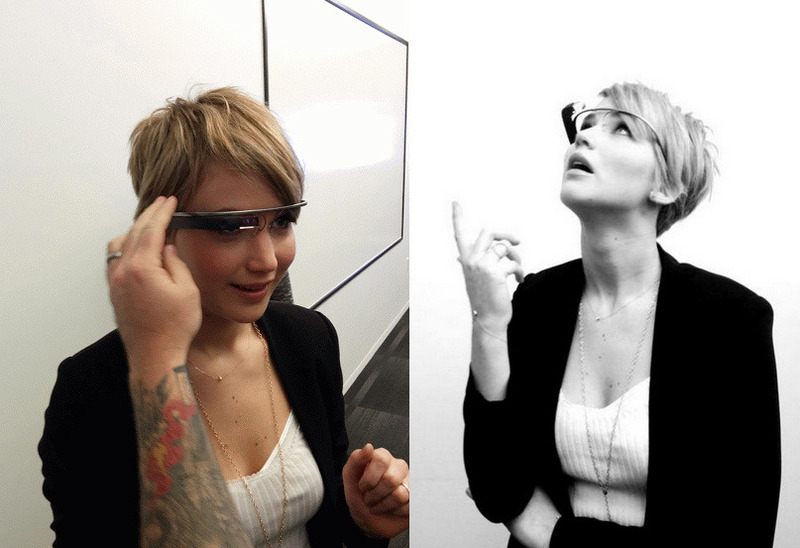 Pictures shaming Google Glass users spotted out public were social media catnip. And anyone caught in front of a Google Glass user had to assume that they were being recorded. It was too Black Mirror-ish, too fast. Google Glass, it should be said, isn't dead. Mountain View is spinning the Glass team reorganization as the next step for a commercial device to come to market, though it remains vague on when that will actually happen. But Google's very public failure (and other hardware companies' seeming disinterest in following their folly) probably means that smart glasses are a non-starter in the near term. When Google or its competitors return to the idea, they would be well served to leave the camera at home.